Publishing Insiders Wrap-Up: Special Guest Mike Stelzner On Social Media - Author Marketing Experts, Inc. In the ever-changing world of social media there is one source that millions turn to: Social Media Examiner. In a little over two years, the site has become an influential and respected source. 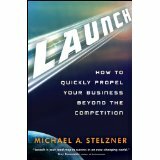 The story of how it got there offers a useful model for anyone who is looking to grow followers and generate sales, as founder Michael Stelzner explains. About our guest: Social media expert Michael Stelzner is the founder of Social Media Examiner and author of the books Launch and Writing White Papers. Visit http://www.socialmediaexaminer.com/. The idea was to create incredible content that people would love and want to share. Mike saw a hole in the marketplace in 2009. There wasn’t a lot of how-to information on using social media such as Facebook, Twitter (and now Google+). Social Media Examiner started offering magazine style pieces and people began following the site and it took off. Mike believes strongly in sharing content and getting other authors to contribute content. A lot of times people just want to use their own content, but he says there is a time and place to talk about yourself. If you want to build a loyal following, sell books, build a membership site or start consulting, you need to offer a gift. Mike’s gift was great content. Social Media Examiner focuses on issues businesses care about, such as how to use LinkedIn to find leads, or tips on how to build a loyal fan base on Facebook. The site became one of top 100 small business blogs and within three months of launching had 10,000 subscribers. Mike says they just enabled people to share what they found on the site. Those early followers became evangelists for Social Media Examiner and their endorsement brought more followers. Mike’s formula for success is what he calls the Elevation Principle. It starts when you offer great content – the things you love, the how-to articles, case studies, reviews of products and services, etc. Next, focus on your core audience and also tap the brains of competitors and other experts. Some of them may become partners and many will share your messages. Finally, pack away your marketing messages – use your content to draw people in – that’s the way you sell to them. 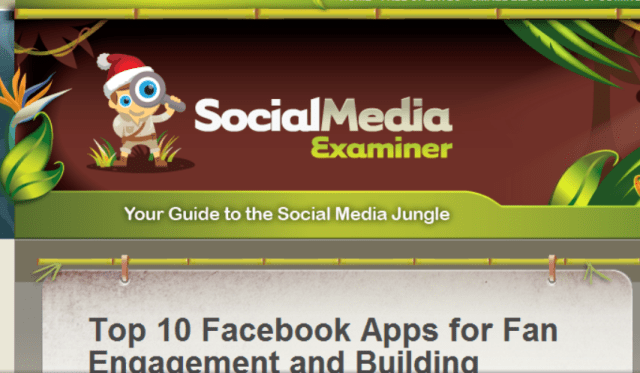 Social Media Examiner has become an indispensible resource, Mike says. Ask yourself how you can become indispensible, realizing that only 5% will buy from you while the other 95% will become evangelists for your content and by doing so, get you more fans. It’s rethinking how we do marketing and very powerful in this social era, Mike says. To figure out what their followers want, they track the industry, which changes daily, and they also conduct a survey every year and ask their readers about the most pressing questions they want answered – then they give them what they want for free. You can never give away all you know, says Mike, and the risk of not giving away content is greater than the risk of offering that content. Think of your content as a gift with no strings attached. People will love you for it. It’s hard to believe another year is ending. We’ll take a look back at the year that was in terms of social media and marketing, and then we’ll consult our crystal ball – and stellar guests – such as Susan Gilbert, CEO and Founder at Online Promotion Success, Inc. and an expert on all things social media. Will Google+ be a boon or bust? Can Facebook continue its incredible growth? What’s coming up next? You don’t want to miss this show!